A fitting theme as South Africa’s’ trade industry is made of five sectors namely: retail, hospitality, food & beverage and wholesale. 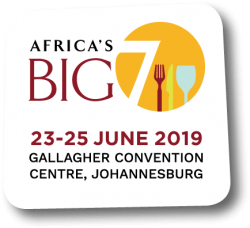 The 3-event showcases these sectors to the world while building a world-class retail event for Africa which will ensure the spotlight is on the continent in June every year. This 3-event showcase together with the Hospitality Leadership Forum, FoodNext.Africa conference, Trade Development Forum, free training workshops and live features including competitions are supported by over 20 different global media partners. This dedicated 3-day international trading platform establishes South Africa as the gateway to the continent while delivering the latest cutting edge innovations, new ideas and products, trends, insight and future thinking, ensuring that Africa Trade Week is the go-to event in the global calendar and the only place to find new products, secure new clients and meet the leading professionals from across the globe.